Get ready for some comet-hopping in Rift, as the latest expansion, Starfall Prophecy, is almost ready to go live. Well, sort of live, at least. Trion Worlds has declared that the open beta for the expansion will kick off on Oct. 13. Everything you need to know about the expansion can be found on the Starfall Prophecy site. 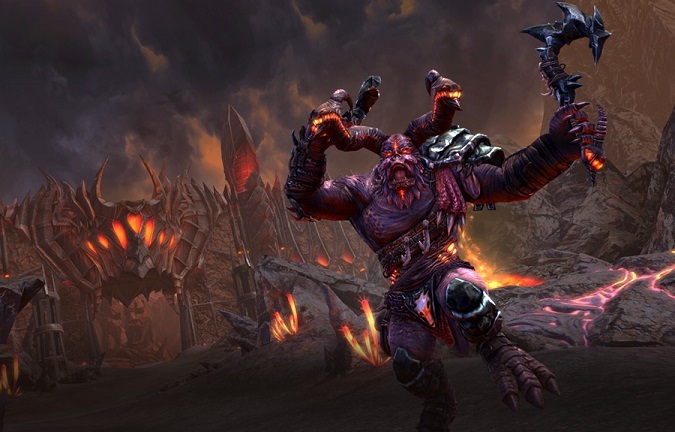 Will you be checking out Rift’s newest expansion when the beta goes live next week? Also this expansion is not FTP and as you model yourselves on on FTP only!! does that not go against the grain? Just because you can enter a game for free does not make it FTP if you NEED to spend money to play it. Well said which is why I normally play buy 2 play or subscription games like World of warcraft. It’s a pain sometimes but in the end you get cool content and they don’t push cash shops and all that other BS free 2 play games do since free 2 play games need to make money. I’m not saying buy 2 play games or subscription games don’t got cash shops or that BS content but they don’t push it as hard on the playerbase as free 2 play games do. Yeah I don’t know whats wrong with Trion, all their games are cash grabs. They never work at them. Maybe some new staff.. As for Rift it was old when it came out (slow/old combat) now it’s like flogging a dead horse. Game felt old when I first installed it to I uninstalled it 5 mins after I installed it on my first playthrough it just wasn’t good from my experience. No I won’t check out rifts new expansion since rift is boring as fk. The only interesting game trion worlds has in my opinion is Archeage but rift feels like it’s paid 2 win trash.